​All competitors MUST watch the online orientation located under the sub tab titled "Required STAR Online Orientation" before attending the State Leadership Conference. Once completed, they MUST fill out the required form and competitors MUST turn this form into the Room Consultant upon entering for competition at the State Leadership Conference. No other forms will be accepted by the Room Consultant. 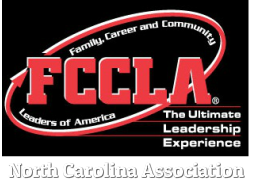 In addition to the STAR Online Orientation, each attendee to the NC FCCLA State Leadership Conference must complete the Code of Conduct, Health Form, and Media Consent Form and turn into their adviser. Advisers, must have these on hand at the conference. Click on the button below to download the form or go to the sub tab under Required Forms.